M.A. Ed., M.Div., ordained Roman Catholic Womanpriest and co-pastor of the Community of Saint Mary Magdalene, an intentional Eucharistic community located in Philadelphia, Pennsylvania.She is a long time activist who has written about and lectured on women’s rights in the Catholic Church for twenty years. The Catholic Church cannot uplift or minister by diminishing its presence in the world. The ongoing priest shortage has led to the massive, worldwide closure of parishes, largely without the input or consent of the laity. Eileen DiFranco insists that the People of God deserve better. 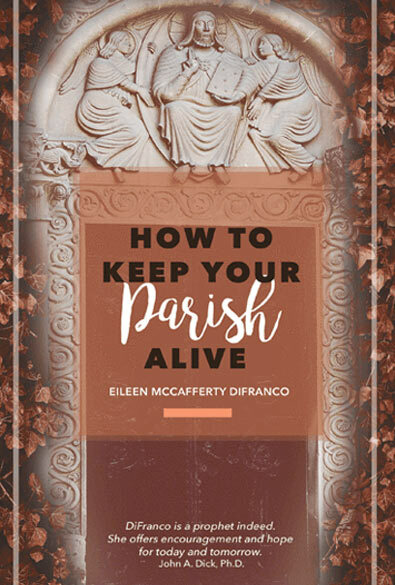 Her beautifully written and meticulously researched How To Keep Your Parish Alive provides those faced with parish closings with a practical way to resurrect their parish as an intentional Eucharistic community much like the way the church was organized at its beginning. It is informative, hard-hitting, and ultimately deeply inspiring.